Muscular dystrophy, or MD, refers to a group of muscle diseases that cause progressive weakness and loss of muscle mass over time. Primarily, MD is caused by a genetic mutation in genes that control the production of muscle protein. Unfortunately, the disease is incurable, but treatment and management are vital. So, for allied health professionals, it’s important to recognize the different muscular dystrophy treatment options and how allied health can help. There are a variety of different treatment options for individuals with MD. These include medications or steroids, gene therapy, splints, and more. However, allied health plays a huge role in muscular dystrophy treatment. The following are just a few different ways that allied health can help those with MD. One of the most common treatment options for muscular dystrophy is physical therapy. Doctors often recommend exercises that help to strengthen and stretch a patient’s affected muscles. The physical therapist will assign exercises designed to prevent contractures, a stiffening of the muscles near a joint that limits movement. Physical therapy helps those with MD to keep their joints as flexible as possible. Typically, a physical therapist with create a unique muscle strengthening and stretching routine for a patient. After patients learn how to perform the exercises correctly, they may be able to reduce the frequency of physical therapy and continue the exercises at home. Not only does physical therapy help with the muscles themselves, it also helps to improve a patient’s overall well-being and self-esteem. Along with physical therapy, many individuals with muscular dystrophy work with an occupational therapist. This type of therapy helps patients to continue performing activities of daily living, like eating, dressing, writing, and more. Since one’s physical abilities change due to MD, occupational therapy helps patients to relearn movement and abilities that involve their affected muscles. Additionally, these therapists teach people with MD to use assistive devices like walkers and wheelchairs. Another important part of muscular therapy treatment is respiratory therapy and care. As MD progresses, it weakens the muscles required to breathe and cough. As a result, some patients need assistance to prevent hospitalization or life-threatening respiratory conditions. So, a respiratory therapist will typically assign breathing exercises that target the respiratory muscles. Later in a patient’s life, their doctor may require a sleep apnea device to improve oxygen delivery during the night. Improved lung function can help patients with certain types of MD to live longer and lead more fulfilling lives. Sometimes, people with muscular dystrophy have trouble swallowing, also called dysphagia. A therapist trained in swallowing disorders, often a speech-language pathologist, will work with patients to assess their feeding and swallowing. Usually, the therapist will perform an evaluation to gauge a patient’s ability to tolerate certain foods, liquids, flavors, or textures. When appropriate, some patients will undergo a swallowing study. This allows the specialist to see how foods and liquids move through the mouth and throat. Sometimes, hospitals can offer people with muscular dystrophy the ability to explore vocational options. Vocational rehabilitation allows patients to develop the skills they need to return to work or school. There are different options for this type of rehab including evaluations and counseling, job skills training, computer skills training, or job placement services. As you can see, allied health plays a big part in muscular dystrophy treatment. From physical therapy to swallowing therapy, there are all kinds of allied health treatment options for patients with MD. While there is no cure for the disease, these therapies are often necessary for patients to live as productively as possible. 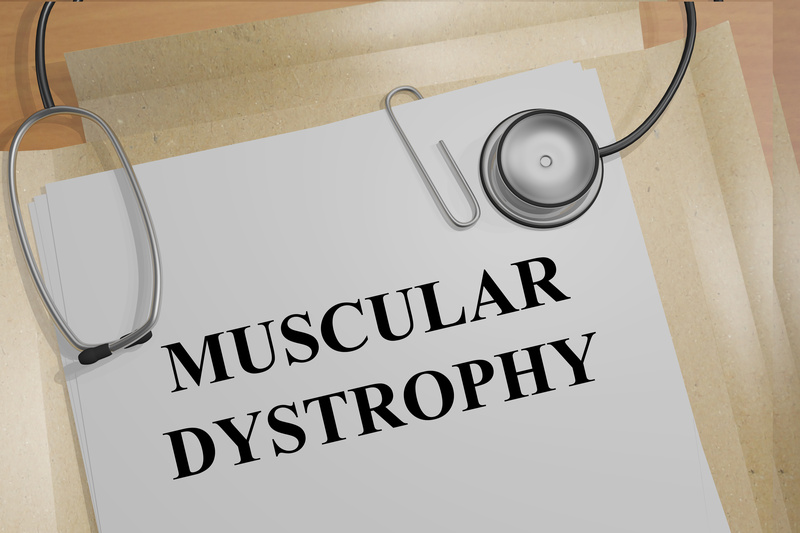 Do you have experience treating patients with muscular dystrophy? Share your stories with us in the comments below!